The Supreme Court on Tuesday refused to hear an appeal involving an Oregon judge who refused to marry gay and lesbian couples. The Oregon Supreme Court in March suspended Marion County Circuit Court Judge Vance Day for three years, the longest suspension in its history. An ethics commission in 2016 recommended that Day be removed from office. The Supreme Court's decision leaves in place the three-year suspension against Day. After a federal judge in 2014 struck down Oregon's marriage ban, Day, a Republican, referred gay couples looking to marry to other judges. He later stopped marrying couples altogether. 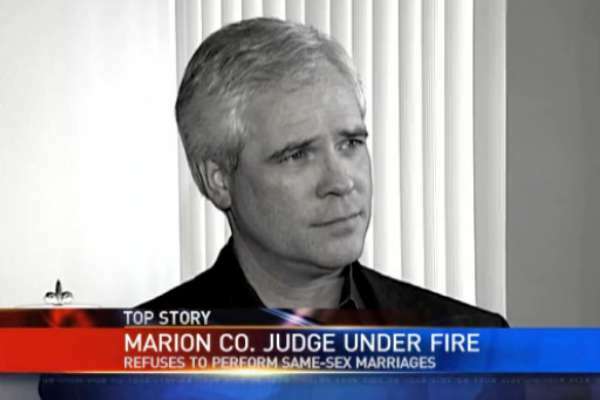 In his appeal, Day argued that he was being singled out for his opposition to marriage equality. Other ethics charges include allegations that Day had broken gun laws when he twice gave a gun to a felon and lied to investigators. He is facing criminal charges stemming from the gun handling allegations. His trial is set to begin October 22.